The Ridenour Lyrique 925 Hard Rubber Low-C Bass Clarinet: Yes, It's A Real Instrument. So Many Instruments, So Little Time! A professional woodwind player and obsessive gearhead, I've decided to start a blog where I can funnel all of the knowledge I've gained over many years of trying every instrument and accessory I could get my hands on throughout my travels around the world, and maybe help one or two of you find your dream instrument. There is a big world of woodwinds out there beyond the brands most of you are familiar with, and I'd love to help you discover it! This particular tour is the main reason I decided to buy the Ridenour Lyrique bass. Tonight we finish a two-week run of the show in Alaska, and this weekend, we begin four and a half weeks of performances all over Canada, from Vancouver to Edmonton. While this past couple of weeks have been amazingly mild in Anchorage, temperatures in Edmonton, Regina, Saskatoon and Calgary are predicted to stay parked in the VERY minus-double-digits degrees Fahrenheit, and those are conditions I did NOT relish the thought of bringing a $10,000 wood Selmer or Buffet bass through. The hard rubber construction of the Lyrique assures a certain peace of mind in unstable climates that one just does not have with a wooden instrument. Travel between cities can be rather rough on musical equipment, particularly since I often travel my horns with the rest of the pit equipment on the trucks instead of carrying everything with me on the tour bus (which was what I did a couple years ago when I played the flute/picc/clarinet book on the national tour of My Fair Lady, but is highly impractical with a bass clarinet, a tenor sax, and four other smaller instruments). Having played Tom's hard rubber soprano clarinets before, I knew that the bass was going to sound good and having played the Leblanc clarinets he designed for the past nearly 20 years, I knew it was going to be well-designed acoustically and play in tune. What I didn't know was whether or not a sub-$3000 low-C bass clarinet would physically be able to stand up to the rigors of professional touring life (or, honestly, whether or not the mechanism would be up to the demands of a Leonard Bernstein bass clarinet part!). I have long been a very big fan of Tom Ridenour's, and I'm very happy to say that my experience with his Lyrique bass clarinet has only added to my admiration. Very few people know the clarinet better or love it more than he does, and it certainly shows in his current offerings. I am very proud (and fortunate!) to be able to say that I make the entirety of my living playing the clarinet around the world for thousands of people a week, and I do it with a Ridenour instrument. In summation, I would like to emphatically urge all woodwind doublers, or even symphonic bass clarinet players who absolutely cannot afford to buy a Buffet 1193 or a Selmer Privilege to audition a Lyrique bass. I really think you'll be pleasantly surprised at the quality of this instrument! Check out me shredding some Shostakovich on this thing! What did you think of the feel of the keywork? I tried a slightly older one, maybe 5-7 years old, and the key work felt very flimsy and soft, like it might end up spending alot of time at the repair shop. What do you think? I agree - I sell these clarinets here in UK and have seen the older version which are not as sturdy - the latest clarinets are of a higher grade metal and more professional - the newest development is RCP will hopefully bring out a clarinet with a softer lightweight quality case made here in UK - that has some strength but is also very light. When I wrote my original post detailing the many wonders available to us in the world of oboes, three and a half years ago, I never dreamed that it would gain such traction and be read by so many of you around the world (over 25,000 of you last time I looked)! I am truly honored that you’ve taken the time to read it, and I LOVE that I’ve actually been able to help some of you find your dream instrument. 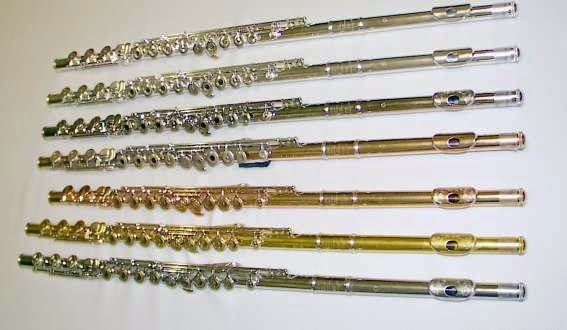 Since my last few posts have been clarinet-centric, and I've been spending a lot of time lately thinking about flutes (which isn't really all that new or unusual), I thought I'd do some talking about a topic that seems to generate some mild disagreement in the flute world, or at the very least is the source of a bit of division among flute players, and that is...Japanese flutes vs. American flutes. If you’re an American oboist, chances are you play a Loree, have at some point played a Loree, or have at least been told “You know, you should really buy a Loree.” For a very long time, this was good advice…the universe of the oboe maker was a very small one (quantum, really), and much like getting your coffee at Starbucks, if you bought a Loree you had a very good idea of what you were getting, and you were probably going to like it. (After all, they’ve been making oboes since 1881!) 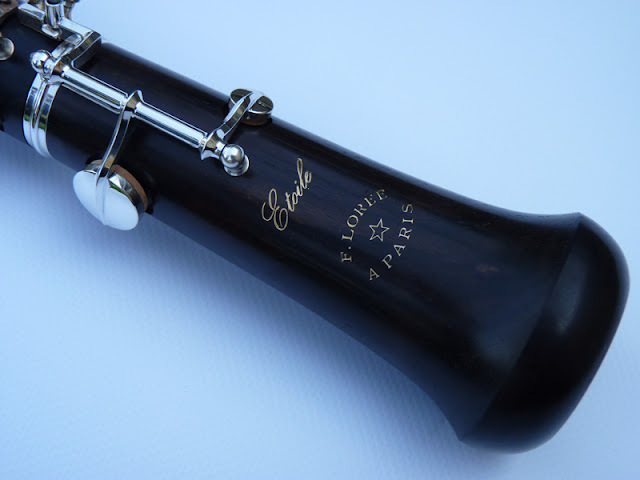 I won’t go into great detail about the history of Francois Loree and his oboes, because there are five million other places you can look online and read about it; and frankly, they probably do a better job of it than I would. My point is simply that for most of the 20th century, if you played the oboe, and you played the oboe with any remote degree of seriousness, your option in fine oboes was Loree.